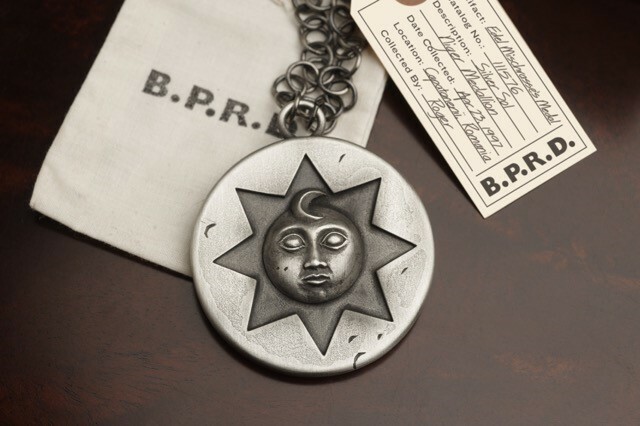 The folks over at Skelton Crew Studio have just announced that preorders are now open on their latest “Hellboy/ B.P.R.D.” collectible, “Edel Mischarasse’s Medal“. This is the seventh officially licensed Hellboy/ B.P.R.D. collectible that they have done and it looks amazing. Here is what Skelton Crew Studio says about this piece over on their OFFICIAL WEBSITE. Edel Mischrasse’s Medal is torn from the pages of Mike Mignola’s iconic “Hellboy,” published by Dark Horse Entertainment. This officially licensed replica measures approx. 2.6-inches across and weighs in at more than 5 ounces of solid pewter. 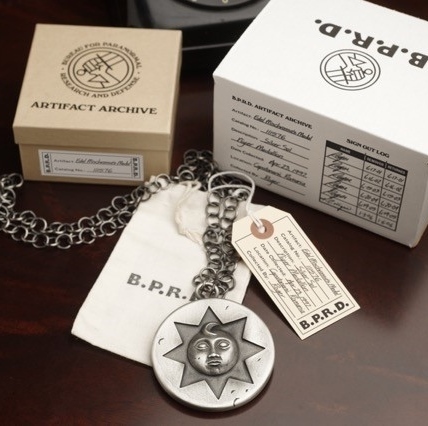 Cast in antique silver-plated pewter with a silver-plated round link chain, it’s carefully packed in an Artifact Archive inner and outer box with a hand numbered tag, one of only 500. Sculpted by John Thompson. Not guaranteed to protect you from jaded homunculi. This entry was posted in Collectible, Comic Books, Movies and tagged B.P.R.D., B.P.R.D. collectible, collectible, Edel Mischarasse, Hellboy, Hellboy collectible, Mike Mignola, officially licensed, pre-order, Skelton Crew Studio. Bookmark the permalink.